Summer has long been considered a dry period for films for the over-40 set — especially older females. The films on the list of wannabe blockbusters opening this summer have one thing in common: They’re aimed primarily at young men. From new installments in Marvel comic-book franchises to flashy action pictures led by stars like Tom Cruise, Dwayne Johnson and Denzel Washington, every movie hopes to draw the lucrative “four quadrant” crowd — but at the very least, dudes. The July 20 “Mamma Mia!” sequel, meanwhile, is hoping to match the success of the 2008 musical adaptation, which grossed more than $600 million worldwide when it opened. Like “Book Club,” the new “Mamma Mia!” also stars a handful of older actors, including Meryl Streep, Pierce Brosnan, Cher and Colin Firth. Summer has long been considered a dry period for films for the over-40 set — especially older females. In 2011, “The Help” soared to nearly $170 million, largely on the strength of women who loved Kathryn Stockett’s book of the same name. But despite the handful of modest successes that followed — from a “Hundred-Foot Journey” here to a “Hope Springs” there — in the last five years, there have been only a few summer releases made for the demographic. Many such releases with older stars, including “Florence Foster Jenkins,” “A Walk in the Woods” and “Ricki and the Flash,” weren’t even able to crack $30 million. However, it’s likely that the “Mamma Mia!” sequel will fare far better at the box office, given the film’s built-in audience. The sequel finds Sophie, played by Amanda Seyfried, pregnant — and without her mother (Streep) around, she calls on her mom’s longtime friends (Christine Baranski, Julie Waters) to help guide her through the challenging time. 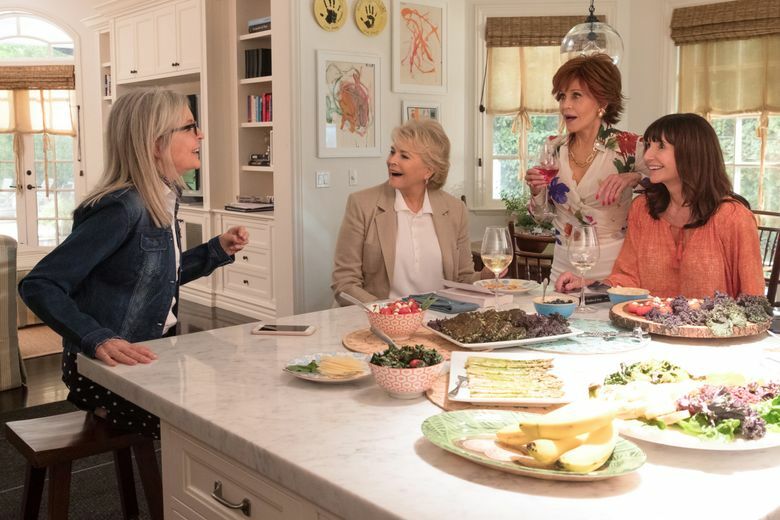 “Book Club” producer and co-writer Erin Simms said it wasn’t easy to get studios interested in the film — it was financed independently and later acquired for distribution by Paramount. “We had to convince people every step of the way,” she said. “In general, people were looking at this as a very small, very niche movie. You think back to ‘The Golden Girls,’ which was a massive hit, or ‘Steel Magnolias’ and ‘Terms of Endearment’ — I don’t know what happened over time that financiers stopped being interested. You feel like because studios keep forgetting that demographic, they don’t matter anymore, but they do — and they’re powerful and still have a lot of life to live.